With all the different dietary needs and food preferences today, it makes sense that there are meal kit services for everyone. Of course, with more choices comes more confusion, since there’s a lot to learn about each company and its offerings. That’s why we’re here to help. 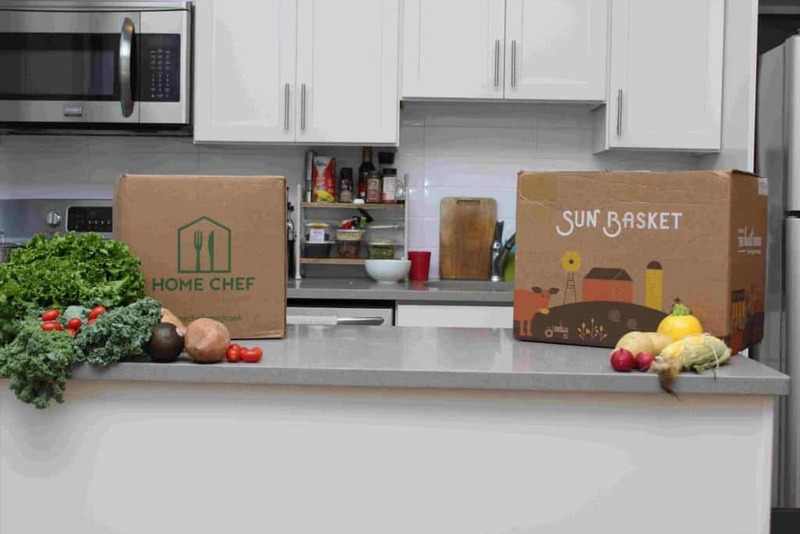 Here we’ll compare Sun Basket and Home Chef, looking at their vegetarian meal plans. Sun Basket concentrates on all-organic and sustainably sourced ingredients and developing diverse and flavorful menus. Home Chef wants to create an enjoyable home cooking experience, including for those who don’t eat meat. Read on for more about both plans and which one we recommend. While both Sun Basket and Home Chef provide vegetarian meal plans, their selections are a bit different. Here’s more about the range of plans each company offers. 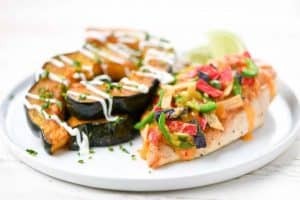 Both the Classic and Family menu options allow for a range of vegetarian selections, and each recipe factors in enough protein and fiber to keep you feeling full and satisfied. Of course, Sun Basket also has the unique feature of allowing you to switch out menu items for other selections (like gluten-free, paleo, and more) as necessary. That way, everyone in the household is happy. 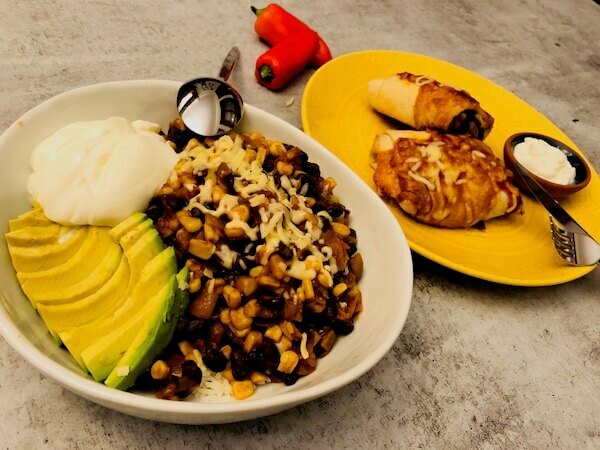 Unlike other meal services, Home Chef doesn’t have specific types of meal plans, so there’s no straightforward vegetarian option. However, you can get veggie options each week, and menu options rotate. There are 15 meal options each week, and before each shipment goes out, subscribers choose the menu items they want. At least three of those items are vegetarian selections, and some picks are 5 Minute Lunch helpings—meaning they’re faster than ever to prepare and enjoy. With Home Chef, there are also add-ons available, and beyond the minimum of two dishes per week, you don’t have to commit to a whole lot. Choose anything from delivery for two people per meal up to six people, plus add on smoothies and fruit baskets to suit your preference and meal planning. Sun Basket’s dishes incorporate organic produce, unique spice blends and house-made sauces, and dairy and eggs from sustainable sources. There’s plenty of protein and fiber in every meal, and the tofu is organic and non-GMO. There are also nuts, legumes, and more to keep you feeling full without repeating the same ingredient over and over. Dishes like pappardelle with spinach and hazelnuts or Tokyo fried rice with edamame expose your taste buds to a range of flavors, without complex recipes or preparation methods. Of course, you can add even more variety by switching out menu items for those from another meal plan. So if you opt for vegetarian most of the time but want a meat-based dish some nights, you can do that with Sun Basket. 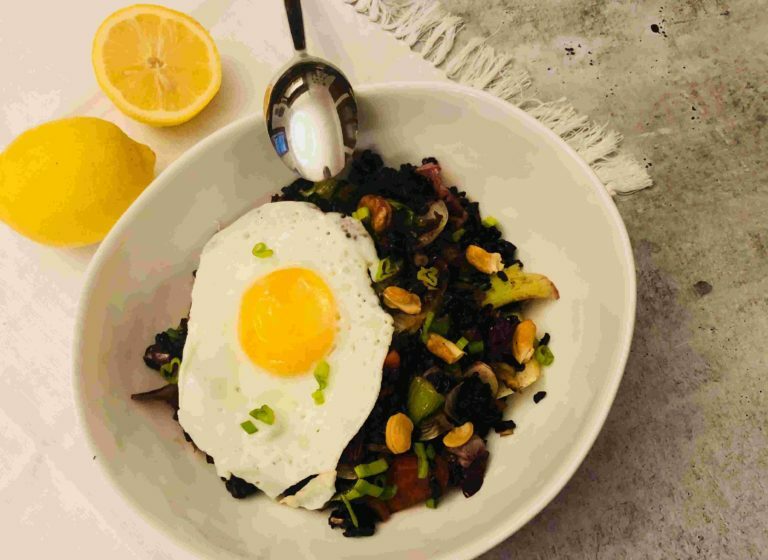 Home Chef offers at least three vegetarian recipes per week, so there’s less choice here but still plenty of variety regarding what dishes pop up. Items like triple mushroom risotto and Hawaiian BBQ tofu go far in terms of providing flavor and a nice change of pace. Sun Basket’s range of vegetarian dishes pack at least 20 grams of protein in each serving, but beyond that, there are no two menu items that are the same. There are plenty of different protein sources—from tofu to chickpeas to cheese and eggs—and dishes are internationally inspired. Most recipes with Sun Basket take about 30 minutes to prepare, making meal prep a streamlined process for most vegetarian dishes. The recipes aim to be easy and accessible for all levels of chefs to manage. 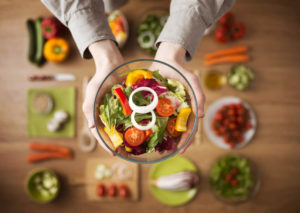 Some of Home Chef’s meals are lunch items that take five minutes to put together, while other menu items take up to 50 or so minutes to prepare. 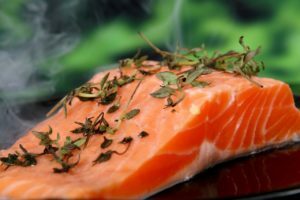 Because Home Chef focuses on people who enjoy cooking at home, this explains the reason for more involved recipe prep processes. Of course, it still takes less time than conventional shopping and meal prep because the pre-portioned recipes are set out for you. Sustainably sourced dairy and organic produce are cornerstones of Sun Basket’s meal kit service. Dishes are often globally inspired, but ingredients come from local sources whenever available. We’ve found that the ingredients for Sun Basket’s recipes are always fresh and ready to prepare. Home Chef’s ingredients are fresh, but they’re also local whenever possible. 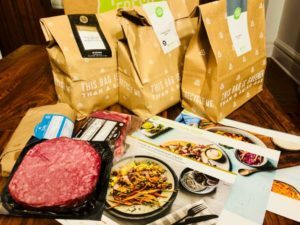 Home Chef says they focus on choosing partners with sustainability practices that they approve of, so that’s helpful for achieving an eco-friendlier meal kit delivery. With Sun Basket, their box uses packing materials that are either recyclable or compostable. They also use individual wrappers for all the items to prevent damage to produce and to keep everything sufficiently cold. 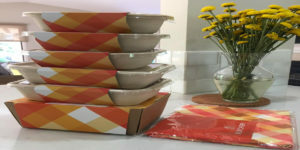 Home Chef’s box has a lining that is both recycled and compostable. The biodegradable fibers can break down in compost, but while they’re in the Home Chef box, they help insulate and protect your menu items. 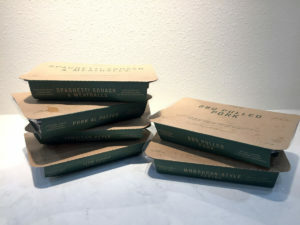 Each recipe’s portions come in a sealed bag as well, along with the recipe card, so everything is conveniently accessible. Sun Basket offers both their website (which works on mobile and desktop devices) as well as an app. You can get the app on either the Apple App Store or on Google Play, and from there, you can make changes to your meal preferences, switch up your menu, change payment settings, and adjust the delivery schedule. Home Chef also has an app and website to make ordering and changing your items simple. You can register for your subscription on the app or site, select your weekly meals, change dietary preferences, update payment methods, and more. Plus, the app contains nutritional information on every dish, and you can check ahead of time to see what’s coming up. Sun Basket requires a subscription to a specific type of plan to get started with their meal kit service. However, you can pause your subscription to skip a week anytime. Cancellation is also straightforward, although you need to be aware of their processing dates, so you avoid paying for future deliveries if you want to cancel altogether. Home Chef plans are unique in that you don’t subscribe to a set plan. Rather, you build your own! 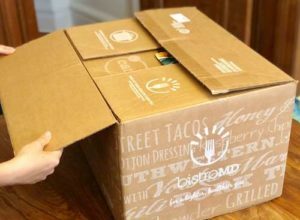 Home Chef does require a minimum of two dishes per week to maintain your subscription, but beyond that, the choice is yours as to what’s in each shipment. Essentially, you can order what you want each week and switch it up as necessary. 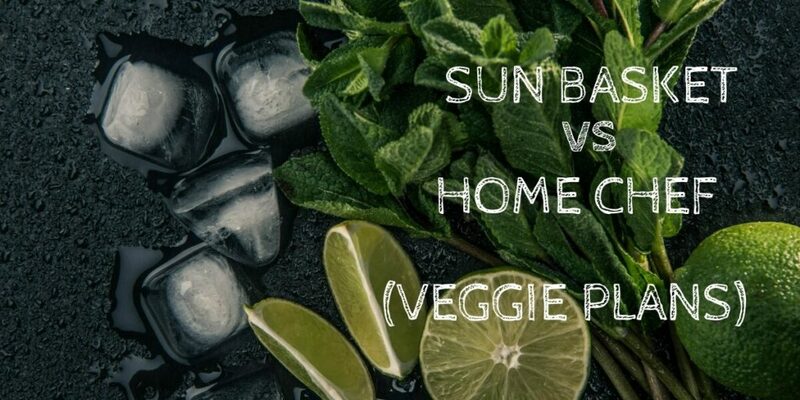 We love that both Sun Basket and Home Chef provide delicious vegetarian options with flexible menus and meal planning. However, a lot of Home Chef’s dishes seem quite similar, and there’s also the fact that their vegetarian offerings are limited to three per week. It’s nice to be able to add smoothies and fruit to order, but if there are only three vegetarian options for the week, then you won’t be able to enjoy a full week’s worth of meals without repeating something. 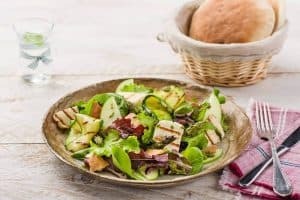 With Sun Basket, however, not only are all the ingredients organic and fresh, but there’s also a ton of variety within the vegetarian plan selection. And, as always, you can switch things out to suit your preference.